Over a million hematopoietic stem cell transplants (HSCT) have been carried out worldwide to replace the blood and immune system for the treatment of cancers as well as bone marrow and immunological disorders. The expansion and growth of hematopoietic stem cells could augment HSCT, especially for cord blood transplantation (where HLA mismatched transplants can be effectively carried out, but which has been limited by cell number and a slower rate to blood count recovery), gene therapy (where gene corrected cells can be expanded in number prior to infusion), as well as standard bone marrow transplants (if insufficient cells have been collected from stem cell harvests). Excellent basic research leading to preclinical work and ongoing clinical trials suggest that growing and using blood stem cells are already a reality that will have impact on countless lives in future. A/Prof William Hwang is a Senior Consultant Hematologist who is Medical Director of the National Cancer Centre. He has been President of the World Marrow Donor Association, President of the Singapore Society of Hematology and Medical Director of the Singapore Cord Blood Bank. He chairs the Biobanking as well as Cell and Gene Therapy Workgroups of the Ministry of Health. Regulators internationally are facing challenges in providing timely access to innovative therapies with autologous cells while delivering novel products that are demonstrably safe and effective. To encourage responsible innovation with autologous cell therapies, we propose a co-operative regulatory framework of international manufacturing standards, professional codes of ethical conduct and consumer protection laws. 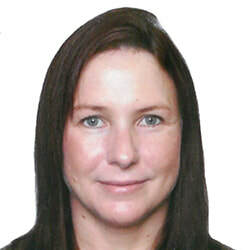 Tamra Lysaght is an Assistant Professor, Director of Research and Phase Director of the Health Ethics, Law and Professionalism (HeLP) Programme at the Centre for Biomedical Ethics, National University of Singapore. Her research interests lie broadly around the sociopolitical, ethical and regulatory issues surrounding stem cell innovation, regenerative medicines, precision medicine, genomics and reproductive technologies. In the last 5 years, there has been a new surge of interest for using cell-based therapy in Malaysia. The talk will cover the regulatory framework proposed by the regulatory body in Malaysia and the current landscape of cell-based therapies in Malaysia especially with the impending regulatory enforcement by 2021. Assoc. 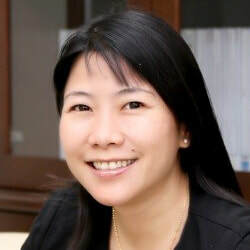 Prof. Dr. Angela Min Hwei Ng obtained her Bachelor’s Degree in Biotechnology from Universiti Putra Malaysia. She then obtained her Master’s degree under the supervision of two distinguished Pathologists, Prof. Dr. Looi Lai Meng and Prof. Dr. Cheah Phaik Leng in Universiti Malaya studying on the association of telomerase and telomere length with cancer aggressiveness and cell immortality. Under the guidance of Prof Ruszymah Idrus, a notable Professor in Physiology in Universiti Kebangsaan Malaysia, Angela pursued her PhD in tissue engineering & regenerative medicine whereby she revolutionized different approaches in bone regeneration including developing an injectable bone, fabrication of complex 3D bone substitutes and rejuvenation of stem cells from elderly patients via exogenous telomerase expression. Angela is currently a Research Fellow and the Head of Tissue Engineering Centre in Universiti Kebangsaan Malaysia Medical Centre. Her experience in tissue engineering and regenerative research covers various tissues including bone, cartilage, nerve, heart, bladder and cornea. Her extensive work over the past 10 years has resulted in several innovative products which have won her distinguished awards in local and international expositions. To date, she has 5 patents filed and over 60 publications published. Her current research focus includes 3D scaffold rapid prototyping, engineering vascularized tissues, and cell and exosome-based therapies. She is also actively involved in clinical translation. She has first-hand experience on establishing a GMP facility for cell & tissue products; from the conception of the facility layout to developing the quality system, training of personnel and running of a clinical trial. With an ever-ageing population, considerable demand is growing for cellular therapy options to treat degenerating joints, Parkinson's disease, type 1 diabetes, spinal cord injury and Alzheimer's disease, amongst others. Mesenchymal stem cells (MSCs) are viewed as a likely cell source. However, their low abundance in marrow tissue presents a bottleneck to translation. By formulating glycosaminoglycan-enriched media that more closely mimics the bone marrow microenvironment, we produce millions of best-in-class mesenchymal stem cells (MSCs) with high therapeutic potency. When transplanted into large osteochondral defects in animals, MSCs exposed to selected glycosaminoglycans accelerate the repair of osteochondral defects. Thus, there is considerable potential for glycosaminoglycans to bioprocess MSCs for clinical use. 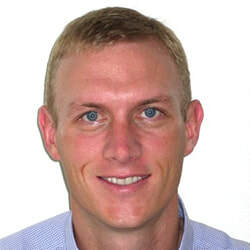 Dr. Simon Cool received his BSc (Hons) and PhD degrees from The University of Queensland, Australia, where he subsequently held a faculty position in the School of Biomedical Sciences with academic responsibilities into both the Graduate Medical Program and Biomedical Sciences. Because of his broad and deep contribution to enhancing the quality of learning and teaching, he was recognized with an Award for Excellence in Teaching in 2002. His areas of studies have concentrated on the extracellular matrix compartment of skeletal tissue and how that guides stem cell behavior and wound repair. He was invited to join the Institute of Molecular and Cell Biology, A*STAR, Singapore in 2003 as Principal Investigator and then A*STAR’s Institute of Medical Biology in 2008, to further his research in regenerative medicine. Currently, as Senior Principal Investigator of the Glycotherapeutics Group, he is focused on developing novel glycosaminoglycan biomolecules that enhance wound repair and control adult stem cell behaviour. Most particularly, he has developed glycotherapeutic devices and adult stem cell-based therapies for the treatment of bone and cartilage injury, cardiovascular disease, and skin wounds and cosmetic applications. Dr. Cool has filed 165 patents, of which 32 have been granted across 25 families in the fields of glycosaminoglycan devices, regenerative medicine and stem cell therapy. His strong publication record (>120 publications) exemplifies the many successful projects he leads both nationally and internationally with academic and industry groups. Dr Cool is a Professor (Adjunct Research) in the Orthopaedic Department at the National University of Singapore. 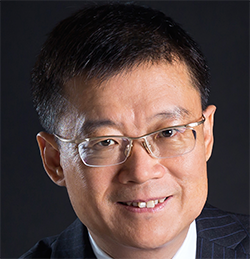 He has served as an elected council member for the Tissue Engineering and Regenerative Medicine International Society, Asia Pacific Chapter and Executive Editor for the journal Gene. 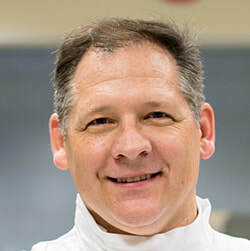 Dr Cool is currently Section Editor for the Journal of Molecular Histology and serves on the Editorial Boards of Biomaterials and Stem Cells and Development. In Singapore, clinical therapies of MSC based cartilage regeneration are performed as part of clinical trials or studies, as commercial therapies are not yet readily available. The majority of stem cells used for clinical trials in Singapore, which are approved by the local Health Sciences Authority, are autologous bone marrow derived MSCs (BM-MSCs). Results of our clinical cohort study of 326 patients whom underwent BM-MSC therapy for knee cartilage regeneration showed improvements in SF36 physical component scores (median scores from 39.8 to 48.5, p <0.05), as well as IKDC scores (median scores from 46.0 to 68.5, p <0.05) at the end of 2 years. There were no significant adverse events such as septic arthritis or tumorigenesis due to MSC implantation. The median BMI of the patients were 24.3 kg/m2. The majority of the lesions were at the medial (40.2%) and the patellofemoral compartments (51.2%), and ICRS grade 4 lesions formed the majority of the lesions (81.9%). When injectable BM-MSC therapy was combined with re-alignment surgery along with microfracture of chondral defects, results of our 2 year-follow-up reported improved Tegner, Lysholm and IKDC scores as compared to controls. The median age of patients was 51 years, with a mean BMI fo 23.85. The effect of treatment showed an added improvement of 7.65 (95%CI 3.04-12.26, p <0.05) for IKDC scores, 0.64 (95%CI 0.10-1.19, p <0.05) for Tegner scores, and 7.61 (95%CI 1.44-13.79, p <0.05) for Lysholm scores. MRI scans performed 1 year after surgical intervention showed significantly better MOCART scores for the MSC treated group as compared to controls, with an age adjusted mean difference in scores of 19.6 (95%CI 10.5-28.6, p<0.05). Our results show promising growth in cell therapy for cartilage regeneration in Singapore and we await longer term results of these trials. 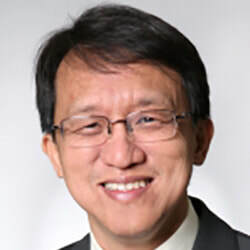 Professor Hui is an accomplished NUS clinician-scientist, and a director of NUH’s Cartilage Repair Program. He is the current President of Asian Cartilage Repair Society. With 19 years’ experience of in vitro and translational cartilage research, he has published 97 papers in international-refereed scientific journals (H-index: 45; citations 6,500). He continually strives to overcome challenges faced in treating osteochondral defects. CAR-T therapies have exhibited astonishing successes in the treatment of hematological malignancies. This has not been the case however for solid tumors, where they have demonstrated very limited efficacy. The next generation of T cell therapy needs to address key mechanisms of tumor immune evasion including stromal barriers, suppressive microenvironment and metabolic perturbation. Dr. Connolly has 20 years of research experience in immunotherapy and is a recognized world leader in the field of deep immune monitoring. In addition to his role as the Chief Scientific Officer of Tessa, Dr. Connolly is also a Senior Principal Investigator and Director for Translational Immunology at the Institute of Molecular and Cell Biology under the Agency for Science, Technology and Research in Singapore. He is an Adjunct Associate Professor of Immunology at Baylor University and the National University of Singapore. Previously, Dr. Connolly was the Director of Research Initiatives at the Baylor Research Institute and a member of the faculty at the Baylor Institute for Immunology Research, a fully translational center dedicated to rationally designed vaccines against cancer and infectious diseases. He was involved in the development of immunotherapeutic preclinical models and clinical trials for glioblastoma multiforme, melanoma and breast cancer. Dr. Connolly received his Ph.D. in Immunology from Dartmouth Medical School and is also on the editorial and review panels for numerous scientific journals. He has published more than 75 papers and chapters in peer-reviewed journals. 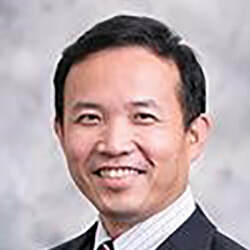 Victor Li is the founder, chairman of the Board, and CEO of Lion TCR Pte. Ltd. Victor has over 24 years of biopharmaceutical industrial experience and 4 years of clinical experience. Victor founded his first biotech company specializing in vaccine development, where he served as the executive director and chief scientific officer. He then successfully transferred the company upon accomplishing preclinical studies, pilot GMP production, and the completion of Phase I / II clinical trials for two vaccine candidates. The company was successfully merged with an established vaccine manufacturer. Victor Li has been awarded with 60 patents as co-inventor. Prior to this, he practiced strategy consulting for the biopharmaceutical industry with PricewaterhouseCoopers as a principal consultant and with Deloitte Consulting as a senior manager. He started his industrial career of multiple functions in medical affairs and marketing strategy with Ciba-Geigy Pharmaceuticals. He has a Masters Degree from ESCP Europe, a DEA of Surgical Sciences from Université Paris Descartes, and a Medical Degree from Sun Yat-Sen University of Medical Sciences. Lion TCR is an A*Star (Antonio Bertoletti’s lab) spinoff and clinical stage immune therapy company with focus on development of TCR-T cell therapy fighting viral related cancer. Victor leads an experienced scientific and product development team with the support of scientific advisors group who are world renowned expert in viral and immune cell therapy fields from US, Europe and China.